The Coral Triangle includes the land and seas of six countries. Collectively known as CT6, they are Indonesia, Malaysia, Papua New Guinea, the Philippines, Solomon Islands, and Timor-Leste. According to the Asian Development Bank, The Coral Triangle has exceptionally high marine biodiversity, harbouring 76% of the 798 known coral species and 37% of the 6,000 worldwide coral reef fish species. In addition, while the Coral Triangle occupies only about 1.6% of the world’s oceans, it covers the largest single coral reef extent of nearly 73,000 square kilometres or 29% of the global coral reef area. 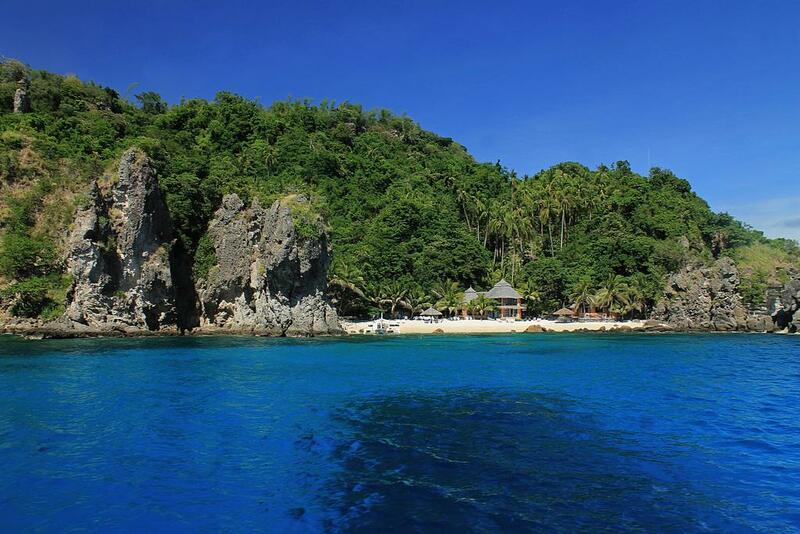 The Apo Island of the Philippines is nestled within the Coral Triangle. It is located at the coast of Negros in the Philippine archipelago. It is 74 ha in area with a population size of approximately 745 residents. The main economic activity on the island was fishing. The fishing grounds span out to around 500m from the shoreline, and this area consists of extensive coral reefs and reaches a depth of up to 60 metres. The entire island’s coral reef was declared a marine reserve and a small portion a fish sanctuary in 1986. It is managed by the community through the Marine Management Committee (MMC, later known as PAMB) that collects donations and fees from visitors. LT&C is an important initiative to locations such as the Apo Island and its marine sanctuaries. Having the Apo Island as an LT&C example will enable other potential sanctuaries to replicate its practices and management processes. It is a global network where practitioners support each other and where sounds solutions are built. As a development management graduate student, being an LT&C Rockhopper penguin is definitely an important element for the micro-ethnography that I will be conducting in Apo Island. This membership enables me to widen my scope of knowledge with regards to tourism and conservation. In addition, the existing LT&C examples are something I can learn more about to use them as guideline and background knowledge when studying the Apo Island. Apo Island i­s one of the success stories that demonstrate a positive environmental tipping point. The Apo islanders’ past fishing activities initiated the momentum towards negative tipping through unsustainable fishing practices. Such practices are dynamite fishing, Muro-Ami Japanese fishing methods, the use of cyanide, and small-mesh nets. These are more effective than traditional fishing methods used in the past, but it was to the detriment of the island’s marine health, and the sustainability of the fishery. Over time, coral reefs died, while the fish population declined severely, impacting the number of fishes caught by locals. After the implementation of the marine reserve, marine life in Apo revived, making it a top spot for underwater diving tourism in the Philippines. There is high evidence of a spillover effect of fisheries in the reserve, as studied by Russ, Alcala and Maypa (2003). Income in support of tourism activities amounted to 7,234,366 of which 20% went to Apo residents in terms of boat rentals, food, accommodation and sale of souvenirs. Hence, the marine conservation initiative in Apo Island is a result of a community-based natural resource management that is highly sustainable. According to the IUCN (2011), the island became a premier tourist destination because of its abundant marine life. The municipal government collects fees from tourists and the money goes to conservation programmes and law enforcement. Apo community is unique in that at the beginning of our community work on the island in the early 1980s, we, together with the people of Apo had decided that aside from improving fish biomass, the protective management aimed for attracting tourists. Most no-take marine protected areas in the Philippines have been set up to build fish biomass so that adjacent fishing areas would benefit from spillover of adults from protected areas and keep fisheries sustainable. However, along with Apo, our team also helped local communities establish no-take marine reserves on two islands in the Bohol Sea, namely Balicasag and Pamilacan Islands for both fishery and tourism purposes. These two islands, which belong to Bohol Island, are also tourist destinations. There are at present many tourists visiting these two small islands. It can be said that many marine protected areas in the Visayas are tourist destinations as well. In the country as a whole, there are more than a thousand marine protected areas and many of these are tourist spots as well. The largest of these areas are Tubbataha Reef, Apo Reef (off southwestern Mindoro), and Carbin Reef (off northern Negros Occidental province) are tourist destinations. 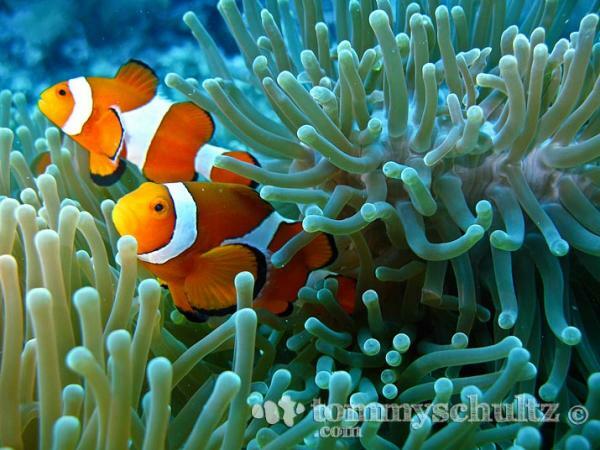 Tourism has been built around protected reefs all over the country. 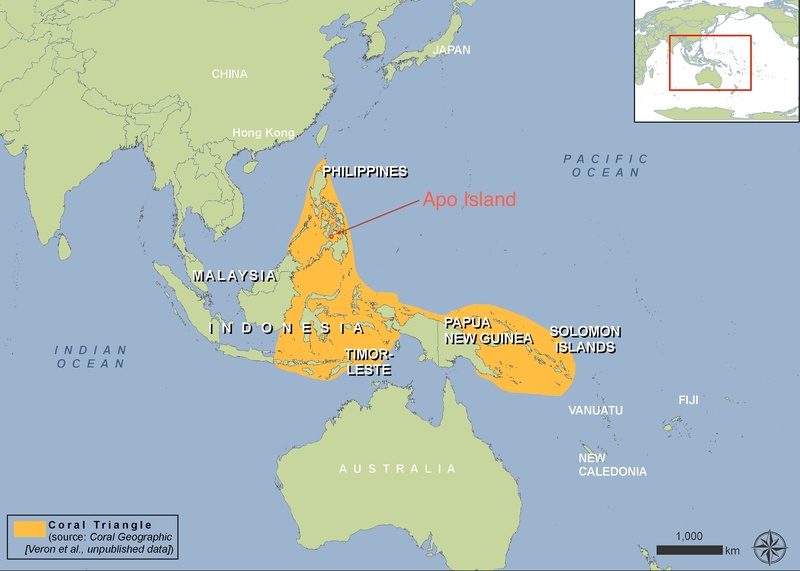 As far as future plans go, my master thesis on the Apo Island will hopefully shed more light on this subject. We used the strategy of a community-based marine protected area in our advocacy. This means that local communities and NGOs participate in the establishment of protected areas, and it is the local communities together with local governments that manage these areas. Our role has been as facilitators. 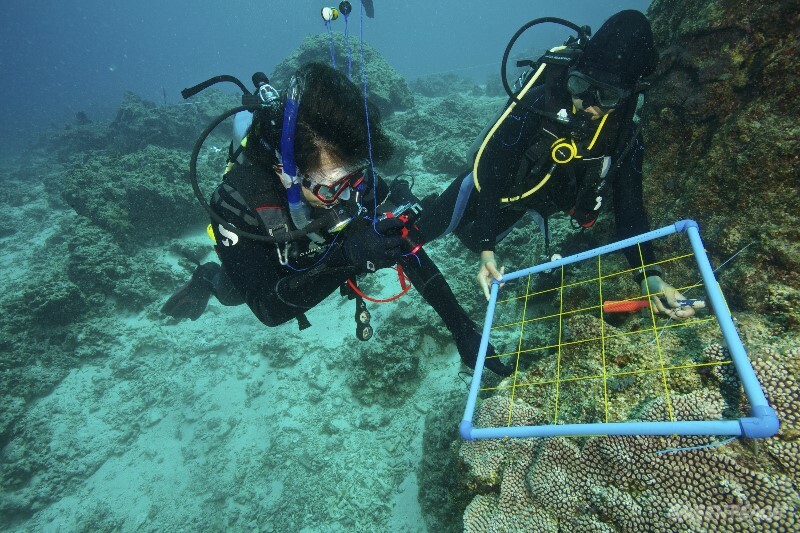 We used educational and scientific techniques to convince local stakeholders to protect and manage their coral reefs and we assist in technical matters like monitoring and documenting by writing and publishing papers, both scientific papers and news reports. The latter is widely published in newspapers and have raised public awareness of the need to conserve coral reefs for food security. The national government has adopted the program of marine protected areas as means to conserve coral reef resources. Coral reef conservation is part of local government laws. Given the explanation by Dr Alcala on how their conservation efforts have propagated into a series of other marine protected areas, it is evident that the Apo Island example has already been replicated elsewhere within the country. I believe we can take this further by assuming that the Apo Island example can also be replicated internationally, especially within future sanctuaries in the Coral Triangle. According to WWF (2011), although there are many MPAs within the Coral Triangle, too few of them are effective in realizing the goals of marine conservation. Hence, profiling the Apo Marine Sanctuary as an LT&C example will shed light on the feasibility of replicating its success elsewhere in the region. ADB. (2014). 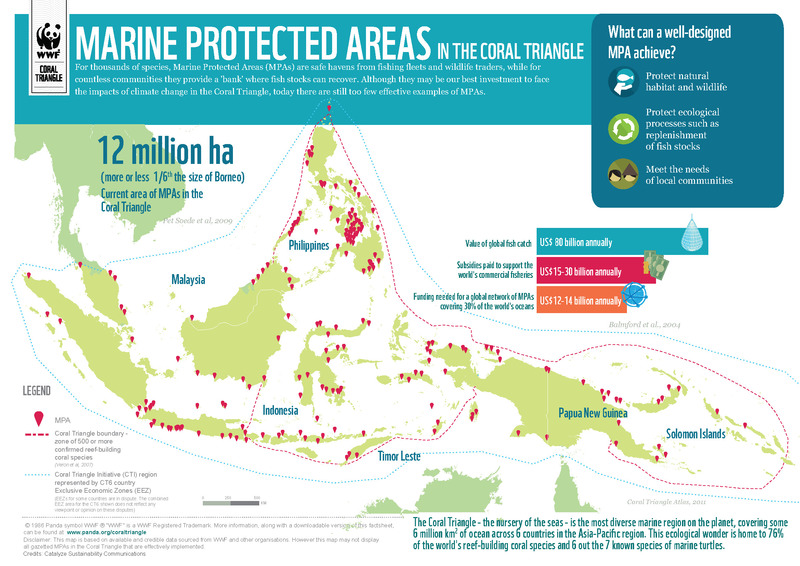 Regional State of the Coral Triangle – Coral Triangle Marine Resources: Their Status, Economies, and Management. Asian Development Bank. Mandaluyong City: ADB.